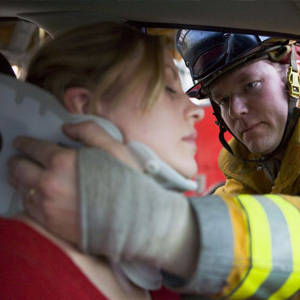 These are just a few of the many types of accidents that require the services of an excellent car accident attorney. In each of the examples, negligence contributed to a disaster that could have been prevented had the guilty party followed necessary safety precautions. If you've been the victim of one such accident, then it's time to fight back against the insurance companies and individuals trying to stick you with exorbitant medical bills. The Fresno car accident lawyers of the Nagelberg Bernard Law Group have stood behind the injured victims of vehicle collisions for over 30 years. In that time frame, we've settled numerous cases to the complete satisfaction of our clients. If you hire Nagelberg Bernard to take your case, you'll have our expert legal staff at your disposal, the same staff that succeeded in winning a record $27 million case against the city of San Francisco on behalf on a grieving family. We know the law inside and out, and we will put it to work for you. While you focus on healing and making it through this traumatic time, we diligently plug away at your case until we get you the settlement you deserve. By compiling evidence that may have been missed, reconstructing the accident to determine liability, and hiring expert investigators and diagnosticians to provide testimony on your case, and initiating numerous other procedures, our team gives you the best possible shot at attaining the restitution you're entitled to under California law. This includes getting compensation for loss of present and future income, medical bills, and emotional suffering, among other things. If you're worried about the financial burden our services could impose, don't be. We have a standing policy not to take a fee until you've been awarded damages on your case. Why should you get stuck with a bill if you don't receive money for your injuries? Well, you shouldn't, which is why we don't get paid if you don't. Give us a call today for a free consultation with a member of our expert legal staff. Our toll-free line is open around the clock, or else you can fill out the form on this page and we'll get back to you immediately. Pick up the phone and let the Fresno car accident lawyers of Nagelberg Bernard help carry you through your traumatic experience.